If you could be a super hero, mythical character or fictional leader, who would you choose? Superman? A Mutant Ninja Turtle? Or maybe Jean ValJean? 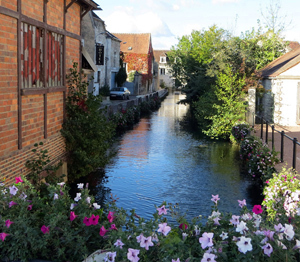 I’d be the Pied Piper of Provence, France, and lead you to dry, French Rosé wine. One of the many great things about dry Rosé is that it can be made from different grapes and it’s produced all around the world. You can enjoy Cabernet, Malbec, Chambourcin, and Sangiovese Rosé. Oregon’s Rosé of Pinot Noir and Provence Rosé tops them all for my palate. Every summer, for the past several years, I’ve written about Southern France’s famous salmon-pink wine. It excites me every May and delights me in June and July. And it’s good news to report how other U.S. wine drinkers are in agreement. Provence Rosé wine sales continue to explode. 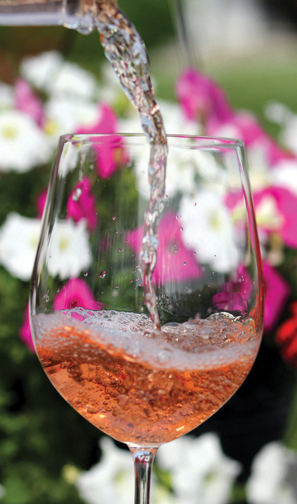 French Provence Rosé exports went up an astounding 40 percent last year in volume and value. Astounding just too big a word or too much hyperbole for you? Measure the word’s use against the 2012 statistical report from the Provence Wine Council which reported a 41 percent increase two years ago and 62 percent jump in 2011. Besides the delightful mineralty, fruit, and freshness of dry Provence Rosé, Rosé is great for the price. Really good bottles can be found at $10-$20. As a matter of fact, Nielsen Research reports the average price per bottle is just $16.38. One of the best ways to learn more about wine and have a great vacation is travel to the great wine regions of the world. It’s been a real blessing to visit Napa/Sonoma, Italy’s Tuscany, Oregon’s Willamette Valley, Bordeaux, Chablis, and the Languedoc in France, along with California’s Central Coast in recent years. I’m plugging two trips here so readers can follow along. I’ll be leading my first private Grape Sense wine tour June 9-13 in Oregon’s Willamette Valley. After a very short weekend, I’ll be in Italy for two weeks June 17-27. The Italy trip is for my work but I’ll be eating and drinking Italian and I’m sure to publish a few blog posts. Follow both trips right here.